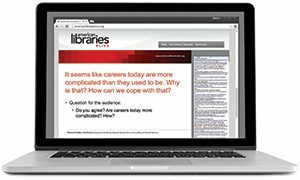 Last year, the United States graduated 40,000 computer science graduates for 500,000 open jobs. Only one in four American high schools offer computer science as part of the curriculum. And today, only 18% of computer science graduates are women—a percentage that was about double in the 1980s. 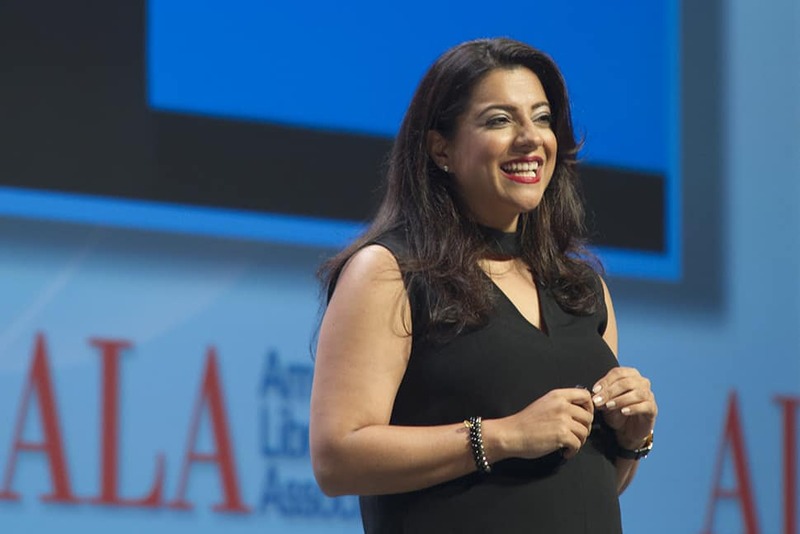 “We’re missing out on women, and it wasn’t always this way,” speaker Reshma Saujani told attendees at the Opening Session of the American Library Association’s (ALA) 2017 Annual Conference and Exhibition in Chicago on June 23. “It’s almost become fashionable for girls to say, I hate math, I hate science.” So what did Saujani, whose own career path is not in STEM but zigzagged through the legal and political arena, decide to do about it? She founded Girls Who Code, a national nonprofit with a mission to close the gender gap in technology. 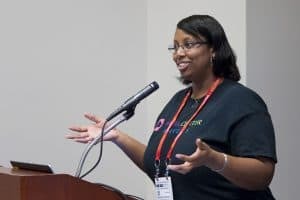 “I bought the domain from GoDaddy for $1.99, handpicked my first 20 girls like a good community organizer, and I bought the girls pizza,” she said. Girls Who Code, which started with 20 girls in 2012, has now grown to a network of 40,000 alumni in all 50 states, including sites in homeless shelters and American Indian reservations. Through summer immersion and after-school programs, Girls Who Code provides the technical instruction and mentorship that young women need to create their own apps, games, and robots—and aims to prove that coding is for anyone, no matter their interests. Beyond the “capabilities, career, and community” that Saujani’s nonprofit promotes, her organization is passionate about changing the culture. “I think that we raise our girls to be perfect, and we raise our boys to be brave,” she said. As much as coding is a skill that will prepare girls for the workforce, which in 2020 is expected to grow to 1.4 million jobs in the US tech industry, also teaches them how to take risks and fail successfully by learning from mistakes. A video that Saujani shared of a Girls Who Code summer immersion camp not only revealed the excitement girls experienced from designing an application or visiting NASA or Disney Studios, or the “sisterhood” participants developed from working together intensively, but also the frustration participants had when a robot malfunctioned or they “forgot a colon” in their code. Saujani herself is no stranger to risk-taking and failure. “At age 33, I decided to run for US Congress in New York City … against an 18-year incumbent, because that was such a good idea,” she confessed to laughter. The daughter of Indian engineers who were refugees from Uganda and came to the US in 1973, Saujani said much of her political support came from “Indian aunties” in the neighborhood who were thrilled she was running. Still, she lost the race brutally. “I had pissed off everybody in the democratic establishment, and I had no contingency plan,” she said. “You cannot be what you cannot see. I decided I wanted to be a lawyer because I saw Kelly McGillis in The Accused,” Saujani remarked. “Literary representation matters.” Her own forthcoming book, Girls Who Code: Learn to Code and Change the World (Viking Books for Young Readers, August 2017), aims to appeal to every girl. Currently, 15% of Girls Who Code clubs are in libraries. “When I come back here next year, I want that number to be 50%,” Saujani said. 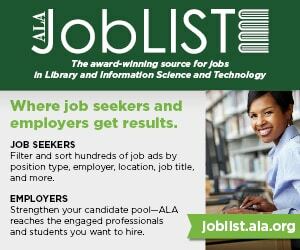 ALA President Julie B. Todaro, who introduced Saujani, underscored the Association’s own commitment to innovation and closing the inequality gap in tech. “We need to stay committed to equity, diversity, and inclusion, and we need to make our spaces safe for everyone,” said Todaro. 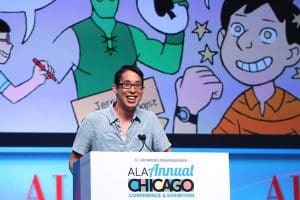 She also took an opportunity to emphasize the role school librarians have in student success to Mayor Rahm Emanuel, who welcomed conference attendees to Chicago.